Today, the Shasta EDC announced that it received a $10,000 Work grant from U.S. Bank. U.S Bank’s corporate giving and volunteer program is called Community Possible and focuses its investments on the pillars of Work, Home and Play. The Work pillar supports programs and organizations that help small businesses thrive, allow people to succeed in the workforce, provide pathways to higher education and gain greater financial literacy. 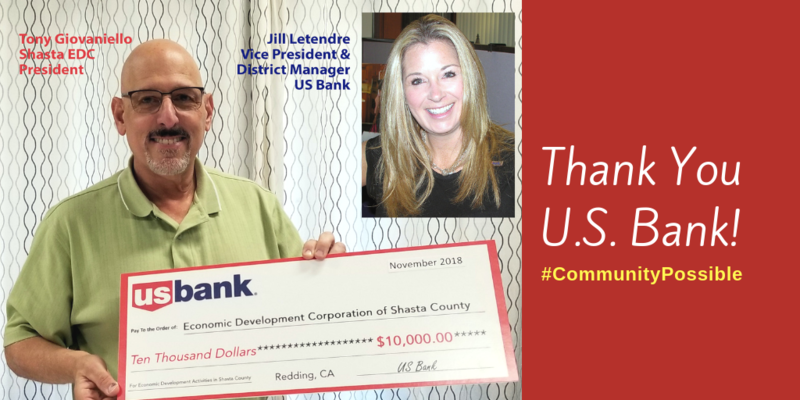 U.S. Bank has provided funding to The Economic Development Corporation of Shasta County (Shasta EDC) for a number of years. The Shasta EDC also works with the City of Redding Airport team and our airline partners focused on the objective of adding more destinations for our business and pleasure travelers. Recently, new air service, daily non-stops to Los Angeles have been announced with flights to commence on March 8, 2019. 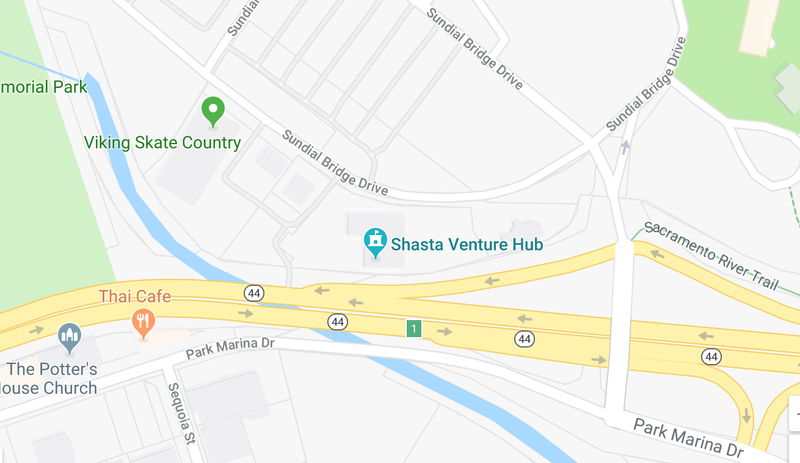 The Shasta EDC’s Venture Hub also provides a low-cost co-working location that is used not only by startups, but more and more, by telecommuters (those employed by companies outside our area, but who work and live here in Shasta County) and free-lancers (people who work on contract on many different projects, for many different companies). There is also a “Kick Start” program to assist lower income individuals in starting a company. About U.S. Bank U.S. Bancorp, with 74,000 employees and $465 billion in assets as of September 30, 2018, is the parent company of U.S. Bank, the fifth-largest commercial bank in the United States. The Minneapolis-based bank blends its relationship teams, branches and ATM network with mobile and online tools that allow customers to bank how, when and where they prefer. U.S. Bank is committed to serving its millions of retail, business, wealth management, payment, commercial and corporate, and investment services customers across the country and around the world as a trusted financial partner, a commitment recognized by the Ethisphere Institute naming the bank a 2018 World’s Most Ethical Company. Visit U.S. Bank at www.usbank.com or follow on social media to stay up to date with company news.